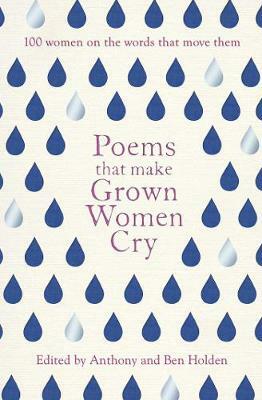 The poems chosen range from the eighth century to today, from Rumi and Shakespeare to Sylvia Plath, W. H. Auden to Carol Ann Duffy, Pablo Neruda and Derek Walcott to Imtiaz Dharker and Warsan Shire. Their themes range from love and loss, through mortality and mystery, war and peace, to the beauty and variety of nature. From Yoko Ono to Judi Dench, Chimamanda Ngozi Adichie to Elena Ferrante, Carol Ann Duffy to Meera Syal, and Joan Baez to Olivia Colman, this unique collection delivers private insights into the minds of women whose writing, acting and thinking are admired around the world.